This is a three plate intaglio print inspired by a walk up Spirit Mountain above Duluth MN. The image is 6 x 11 inches, and the matted size is 12 x 16 inches. The price is for a matted print. If you want it framed, there would be an additional charge. 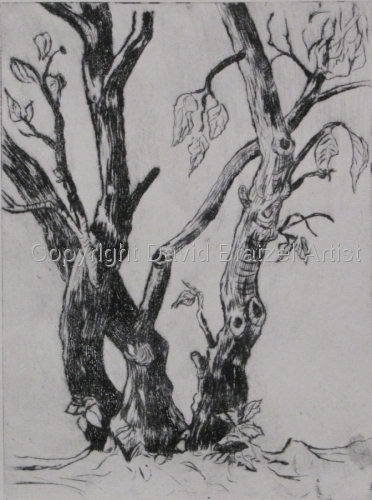 5" x 9"6" x 10.75"7" x 12.5"8" x 14.25"9" x 16.125"11.875" x 21.25"
This is a drypoint etching with an pumice ground aguatint color plate of a tree in a snow storm. 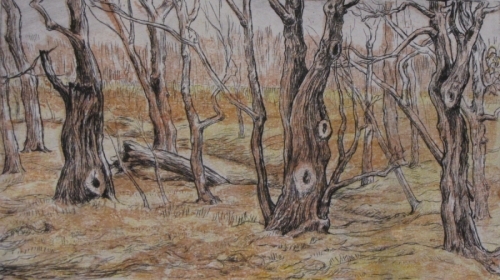 It is 9 inches high by 12 inches wide, and is 16 x 20 matted. It comes matted for the price listed, and framed for an extra fee. 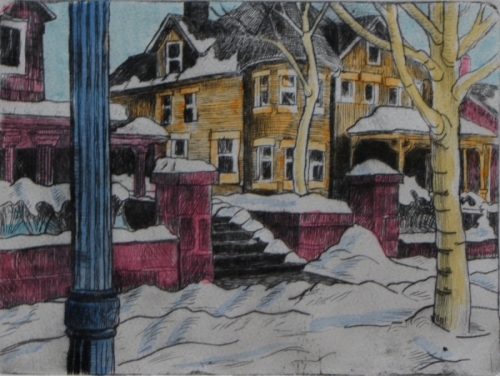 5" x 7"7" x 9.75"9" x 12.625"11" x 15.375"12.625" x 17.75"
This is a dry point etching with added color. This is a silk screen print, all the screens being cut by hand, done as the result of a child having been lost. 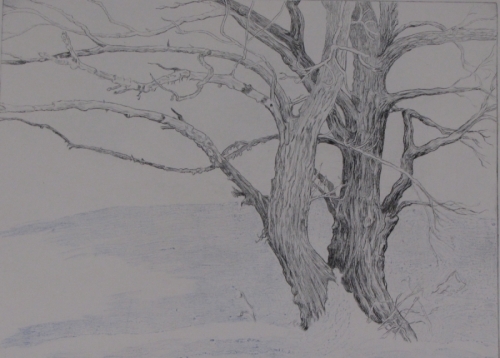 12.125" x 5"14.5" x 6"17" x 7"19.375" x 8"21.75" x 9"20.125" x 8.25"
This is an etching, dry point, intaglio print. It is a numbered edition. 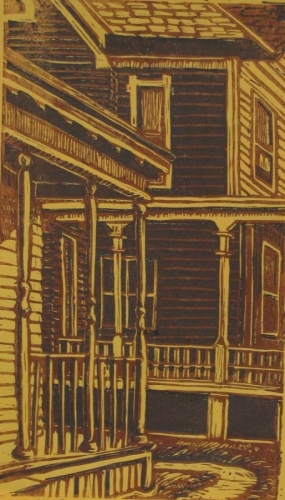 Wood cut print of porches in the St. Paul area of Cathedral Hill.